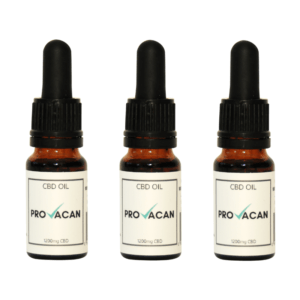 Our CBD oil range is produced to the very highest standards using sustainable agricultural methods. The CBD used in our products is derived from the Hemp plant and is THC free. This means they are not psychoactive and will not get you high. CBD is becoming increasingly popular due to the range of health and medical benefits it is reported to offer. 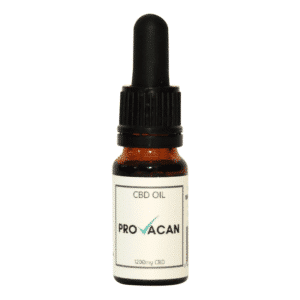 To gain the maximum benefit from CBD Oils, we recommend Sublingual application (application under the tongue). This method allows the active compounds present in the oil to be absorbed directly through the mucous membrane of the mouth. By applying drops of CBD oil under the tongue, it will bypass the digestive system, which can diminish the effectiveness, and quickly enter the bloodstream. What Is CBD Oil? – What are its Uses and What are the Benefits? CBD Oil has seen a considerable surge in popularity recently, due, in part to its ready availability in high street health shops. In 2018, regular users of CBD Oil doubled from 125,000 to 250,000, and the numbers continue to rise at a fast rate. Cannabidiol (CBD) has long been known as a treatment for people with certain illnesses. However, there is now a growing movement amongst wellness and fitness fans due to the long list of potential health benefits. Is CBD Oil The Same as Cannabis? Cannabidiol (CBD) is one of over 80 cannabinoid compounds that are found naturally occurring in the Cannabis plant. What many people don’t realise is that Cannabis is an umbrella term under which many species exist, including Hemp and Marijuana. Of the 80 plus cannabinoid compounds found in the Cannabis plant, the two best known are THC (Tetrahydrocannabinol) and CBD (Cannabidiol). THC is the most commonly occurring cannabinoid found in Marijuana and is responsible for the ‘High’ or psychoactive response provided by its use. CBD is the second most widely occurring compound in Marijuana and the most common found in hemp. CBD is not psychoactive and will not get you high. CBD oil and, in fact, any CBD containing product is 100% legal in the UK providing it has been produced from an EU approved hemp strain and contains less than 0.2% THC. It is not possible to form an addiction to CBD oil. When people become addicted to marijuana they are forming a reliance on the psychoactive response, or high feeling, that the compound THC can provide. The hemp used to create CBD oil contains only trace amounts of THC. These levels are far below the amount needed to provide a high feeling and so no dependency can form. There are many different forms in which CBD is available. CBD Tablets, CBD Balm, CBD Vape and of course CBD Oil. When using CBD oil, it’s recommended to apply a few drops under the tongue. This allows the active compounds found in the oil to be absorbed directly through the membrane of the mouth. By ingesting in this method, the drops enter the bloodstream more quickly and bypass the digestive system which can reduce the effectiveness of CBD. CBD oil typically takes effect relatively quickly. After only 5 – 20 minutes you should start to feel the results. This is a tricky question to answer as everybody’s systems are different and will react in different ways to CBD. Some people may find that only a small amount of CBD is required to provide the benefits they are looking for, others may need much larger doses to achieve the same results. The best approach is to start low and gradually build up. On day one of using CBD oil perhaps begin with as little 1-2 drops. If you don’t notice any effects then on day two increase your dosage. Keep following this approach until you start to see positive results and then try maintaining the CBD levels for a few days to see if the positive effects remain. If you’re worried about taking the correct amount, then your doctor may be able to offer further advice. The research into CBD is still in its infancy. There are therfore very few long-term studies available. Much of the evidence that does exist is either based on short-term studies, animal studies or anecdotal evidence. However, what we do have to work with is very exciting and using CBD oil is believed to have positive effects on many common ailments. One of the most widely known benefits to CBD Oil is how it can help reduce chronic and long-term pain. This is believed to be due to CBD’s ability to reduce inflammation and interact with neurotransmitters. Studies so far have demonstrated that due to the anti-inflammatory properties of CBD, it has provided relief from both joint pain and swelling of people suffering from Rheumatoid Arthritis with no serious side effects. Studies into the benefits of CBD Oil on anxiety and stress are perhaps most numerous. Subjects taking CBD oil have felt calmer and are more able to cope with situations that would typically cause them problems. Due to the neurological impact of CBD other individuals with disorders such as PTS, OCD and Panic Attacks may also respond well to CBD treatment. Individuals suffering from sleep disorders such as Insomnia have reported that CBD helps them to both get too sleep and also remain asleep for longer periods of time. Animal studies demonstrated that CBD helped arteries to dilate and protected blood vessels from damage. It also had a positive impact on blood pressure and helped reduce the heart rate when a person is in a stressful situation. Although studies are in the very early stages, there is growing evidence to suggest that CBD Oil could be of benefits to sufferers of neurodegenerative diseases such as Alzheimer’s and Parkinson’s.